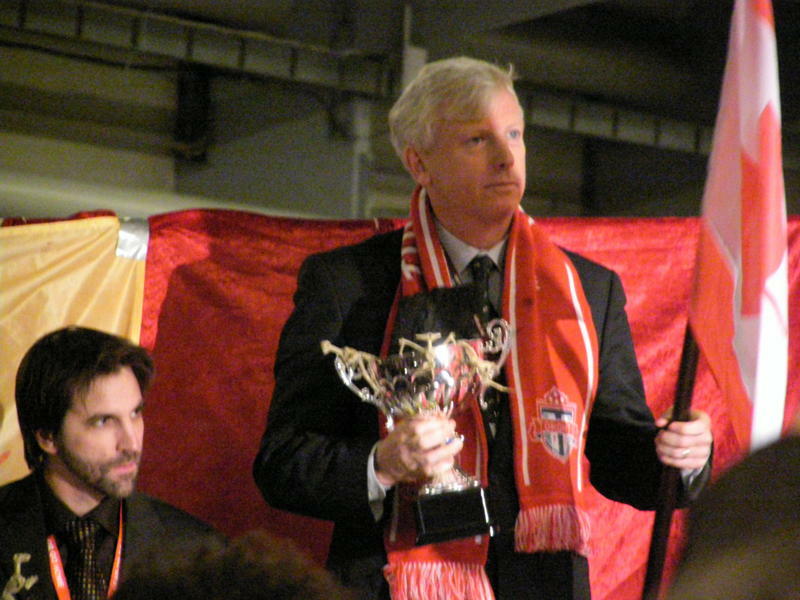 That’s Toronto mayor David Miller accepting two (!) Fossil of the Day awards on behalf of Canada today at the Copenhagen talks. Photo from friend Heidi, who is attending Copenhagen promoting a program on adaptation in Africa. Not every Canadian presence is about stalling collective action. Go mayor Miller. Go Heidi.